It now appears that the death of a Texas teenager found dead in his vehicle outside a Lowe’s parking lot in Austin, Texas, was a suicide–a suicide by cobra. A report from the Travis County Medical Examiner’s Office ruled the manner of death as self-inflicted. Breitbart Texas reported in July that Grant Thompson, 18, was found dead in his car in the parking lot of a Lowe’s store in Austin. Indications at the time were that he had been bitten by a snake. The highly poisonous monocle cobra was nowhere to be found and a massive snake hunt began. The snake was later found dead on the nearby highway feeder road, having been run over by a car. A 28-page report by the Travis County Medical Examiner’s Office obtained by KVUE’s Tony Plohetski, revealed that Thompson apparently allowed the snake to bite him repeatedly causing his death. The autopsy revealed no evidence that Thompson tried to stop the snake from biting him or get away from it. Death reportedly occurred within about thirty minutes due to paralysis and respiratory failure caused by the snake’s venom. 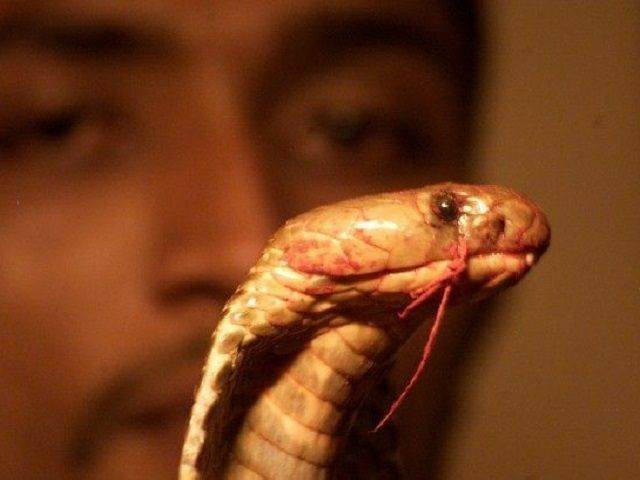 The examiner classified the “snake bites” as intentional due to placement of the wounds. The first bite mark appears to have been placed high on his left shoulder. Thompson was right handed and the examiner determined this bite to be consistent with someone holding the snake with their dominant hand and allowing the bite on his shoulder on purpose. Thompson worked at his family’s pet shop in Temple, Texas. He was said to be a reptile lover. When his body was found at the Lowe’s in Austin, his door was open and the cobra was missing from its container. Another snake and several tarantulas were also found in his car. It is not known why Thompson was in Austin, nor is there any indication as to why he chose the Lowe’s parking lot to carry out his suicide by cobra.